Death or debilitating health issues are two topics none of us like thinking about too much, especially if we are in good health right now and believe we still have many years of productive life left. But we should. Unfortunately, it is part and parcel of a healthy financial life plan. Death or critical illness could sneak up on any of us at the most unforeseen moment with devastating financial consequences. You may have a solid financial plan with a sound investment portfolio that should take care of all your and your dependents’ future needs. But are you fully covered to protect yourself and your wealth against those unkind and unforeseen life events? Not being so could almost in an instant become a ruinous financial drain, or even wipe out all of what you have planned for financially. Of course, the first order of business should be a healthy lifestyle that includes a comprehensive health plan with adequate health insurance. However, there are several additional, critically important issues to consider if you wish to truly protect your wealth against any of life’s more tragic eventualities. This will be for your own peace of mind and for the benefit of those you wish to provide for. Among others the issues to consider may include things like risk cover, life cover, critical illness, income protection, wills, estate planning, and trusts. An experienced financial adviser could assist you in reviewing your entire financial plan and investment portfolio to establish if there are any weaknesses and how you might best address them. It is important to realise that while you could simply go ahead and for example select any product for life cover or income protection yourself, these should fit in with and be complimentary to your overall, integrated financial plan to ensure the best and most cost-efficient growth and protection. Important aspects to therefore consider, should include efficient tax structuring, the best protective jurisdictions, multiple offshore options, diversifying across jurisdictions and markets, different investment vehicles like trusts, or the benefits of international hard currencies, among others. This is where the assistance of your personal financial adviser will be invaluable. Most of us prepare for the unknown future by investing firstly in retirement planning along with life cover and estate planning. It is important to set your financial goals and priorities and then take the required specific steps to meet them. A key part of this would be investing in a pension. Diversifying your pension, as you would diversify your investments to spread the investment risk across different markets, will minimise your risk and obtain more stable and robust returns. There are several pension options available, both for and additional to any standard personal pension plan, and all offering various levels of flexibility, offshore diversification and tax efficiency across different jurisdictions. 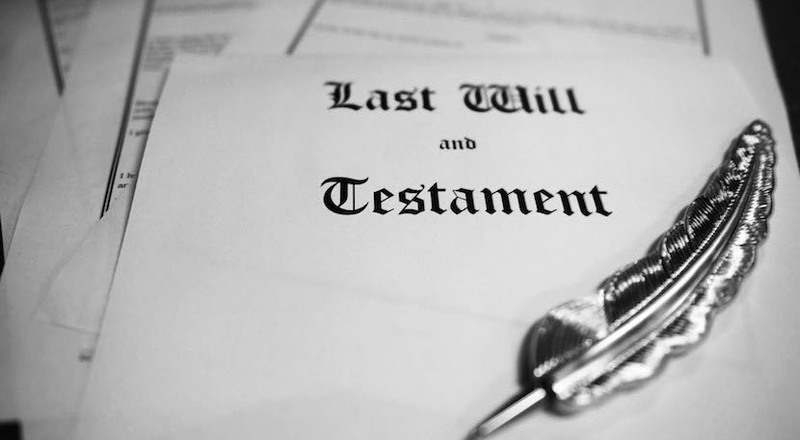 Planning for what happens after you pass away is where effective estate planning comes in, with the minimum of taxes and the fewest complications or delays in passing it on to your beneficiaries. Correct estate planning will also provide protection from creditors or lawsuits. The most important part of this is of course to determine how your assets are distributed once you pass away by having a legal, well-drafted and up to date will. It could be the most important document you will ever draw up. Setting up a trust could also protect your assets and pass on your inheritance in the most tax-efficient way, but it is a complicated process that requires professional advice. While it is essential to consider all the above and plan appropriately to protect and preserve your wealth, those unforeseen life events could still bring unforeseen risks that could derail all your careful planning. Taking out risk insurance that will provide you and your family with a safety net when things do go wrong, could offer protection. The key is matching the right amount of cover to your and your family’s circumstances and requirements, and then optimising it to ensure all future needs are catered for. Despite all our medical advances, anyone of us could experience a critical illness at any time, such as a heart attack or cancer. Even if you recover, it could still have a seriously adverse impact on your financial situation and planning. Investing in critical illness cover would be a wise precautionary step to afford you and your wealth protection against such an eventuality. Furthermore, if you are unable to work or earn an income following such an illness, having income protection will not only provide you with income to help you maintain your lifestyle and meet all your expenses, it will also ensure that your retirement planning is not affected and that your emergency savings are not eroded. There are other options too to ensure you will still have a reliable stream of income, such as investing in international property, for instance. At Carrick we take a holistic view in creating an integrated life plan for our clients, from growing and protecting your wealth, planning and investing in your retirement, preserving and passing on your estate after you have passed away, to insuring against those unplanned, unforeseen life events that could derail all your plans. Why take any chances? If you have concerns regarding any of the above and need expert advice, come talk to us at Carrick Wealth by contacting us at [email protected]. Carrick Wealth is a registered South African financial services provider specialising in South African and international financial planning and integrated wealth management solutions. Carrick is also licensed in Zimbabwe, Botswana and Malawi, and holds three global licences in Mauritius. Carrick always maintains its independence with regard to product providers and asset managers, providing bespoke risk assessment, financial planning and other services to high net worth individuals (HNWI). Through our own qualified and experienced wealth specialists, as well as through partnerships with industry leaders in the fields of foreign exchange, tax, international property, offshore bank accounts, trusts, wills and estate planning, Carrick is able to provide the highest levels of service for your financial planning and investment requirements, both offshore and domestic. This communication is intended solely for information purposes for the use of designated recipients and is not an offer, recommendation or solicitation to transact. While it is based on information available to the public and from sources believed to be reliable, Carrick makes no representation that it is accurate or complete or that any returns indicated will be achieved.